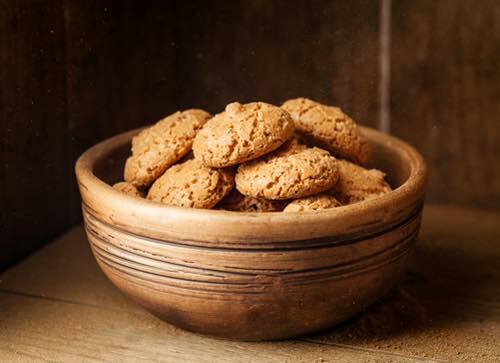 Choose a classic Italian amaretti cookie recipe and make an unbelievably delicious bowlful of traditional macaroon-like cookies from scratch. Your homemade amaretti will taste so much better than any store-bought variety, and you'll be so proud that you made them yourself. Granulated sugar, nine ounces; sweet almonds, three and a half ounces; bitter almonds, half of the sweet almonds quantity; whites of egg, two. As you form the little ball, that you will flatten to the thickness of one-third of an inch, put them over wafers or on pieces of paper or in a baking tin greased with butter and sprinkled with half flour and half powdered sugar. Dispose them at a certain distance from one another as they will enlarge and swell, remaining empty inside. Powdered sugar, ten and a half ounces; sweet almonds, three ounces; bitter almonds, one ounce; two whites of egg. Skin the almonds and dry them in the sun or on the fire, then chop and grind very fine with one white of egg poured in various times. When this is done, put half of the sugar, stirring, and kneading with your hand. Then pour everything in a large bowl and, always mixing, add half of the other white of egg, then the other half of the sugar and finally the other half of the white. In this way, a homogenous mixture will be obtained of the right firmness. Shake into a kind of a stick and cut it in rounds all equal, one-third of an inch thick. Take them up one by one with moistened fingers and make little balls as large as a walnut. Flatten them to the thickness of a third of an inch and put them over wafers or on pieces of paper or in a baking tin greased with butter and sprinkled with half flour and half powdered sugar. Dispose them at a certain distance from one another as they will enlarge and swell, remaining empty inside. Dust with powdered sugar before putting in a hot oven. 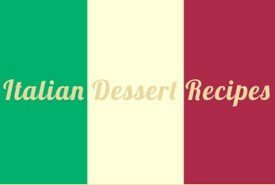 With this Italian cookie recipe, about thirty macaroons can be obtained. 1 lb of Valencia almonds, 2 lb of powdered sugar, 7 or 8 whites of eggs. Beat the almonds with whites of eggs, but not so fine as for common macaroons; lay out stiff on wafer-paper; have almonds cut in slices, one into six pieces, lay them on the sides and top of each macaroon; ice them well from the icing bag, and bake in a slow oven. Ingredients: Almonds (sweet and bitter), eggs, castor sugar. Blanch equal quantities of sweet and bitter almonds, and dry them a little in the oven, then pound them in a mortar, and add nearly double their quantity of castor sugar. Mix with the white of an egg well beaten up into a snow, and shape into little balls about the size of a pigeon's egg. Put them on a piece of stout white paper, and bake them in a very slow oven. They should be very light and delicate in flavor. 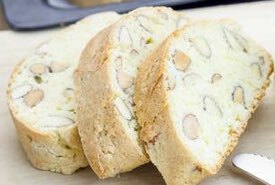 Ingredients: Almonds, eggs, sugar, salt, potato flour, butter. Pound two ounces of almonds, and mix them with the yolks of two eggs and a spoonful of castor sugar flavored with orange juice. Then mix two ounces of sugar with an egg, and to this add the almonds, a pinch of salt, and gradually strew in one and a half ounces of potato flour. When it is all well mixed, add one ounce of melted butter, shape the little cakes and bake them in a slow oven. Mom was of English ancestry, but she used the Old World Italian recipes to make the most delicious macaroons. Hers were crispy on the outside and moist and chewy on the inside with the delicate, sweet flavor of almond. Mom's amaretti biscuits were so light and good tasting. They almost melted in your mouth. Now, you can have fun making those same amaretti in your own kitchen. 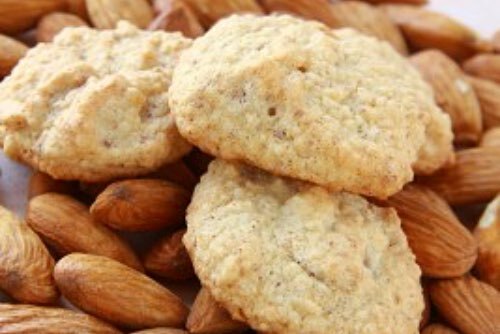 Choose an authentic amaretti cookie recipe and make homemade macaroons that taste better than store-bought. 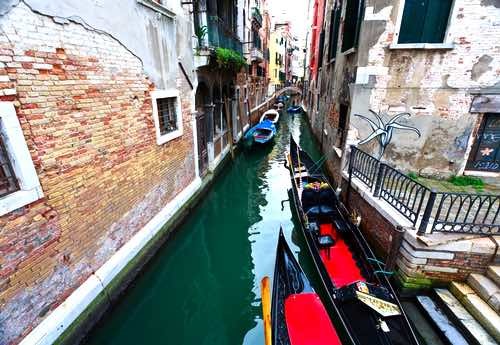 Get to experience the traditional taste of Old Italy today. 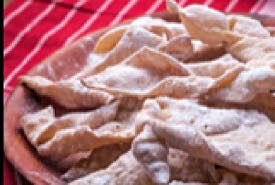 Il amaretti tradizionale è delizioso.